Are you a Visionary that is drowning in distracting emails? Ditch management of your inbox with our help! 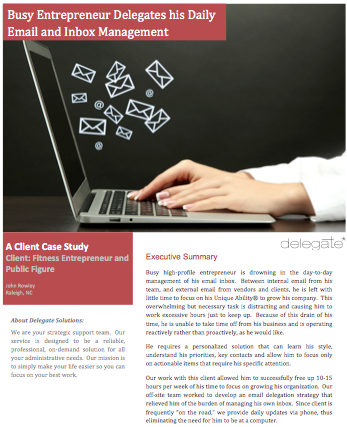 Download this FREE case study to learn how a busy entrepreneur entrusted our team to take over management of his email inbox to free up his time to launch new products.